One woman’s seemingly perfect life is upended when her biggest secret—her mother is paranoid schizophrenic—becomes front-page news. With a penchant for lying, how can she turn her life around after so much deception? Antoinette “Toni” Williams is beyond cloud nine. A successful architect, she is set to marry the love of her life, Lamonte Dunlap, Jr. 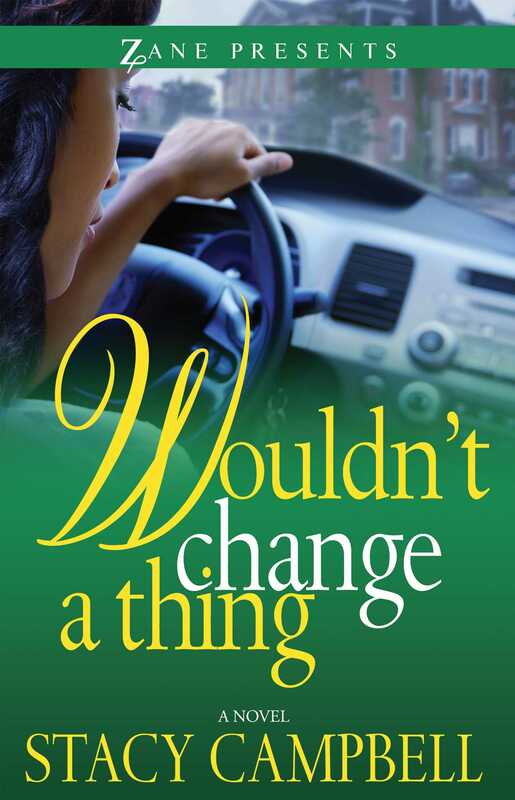 But on the morning of her engagement party, Toni’s world comes crashing down when her family’s long-held secret of mental illness is exposed on the front page of the Atlanta Journal-Constitution. Friends scatter, contracts dry up, and Toni is forced to face the truth about her shattered family. Lamonte assures her he will stick by her side, but Toni is embarrassed and ashamed. The only thing to do, she decides, is to return to her hometown of Sparta, Georgia, to face her inner demons—and her institutionalized mother—that she’s spent twenty-three years avoiding.As she reconnects with family and townsfolk, Toni learns you can always go home; the question is, what will you find when you get there? A provocative and heartbreaking tale of family, illness, deception, and love, Wouldn’t Change a Thing explores the ties that bind and one woman’s harrowing and ultimately redemptive journey back home. Stacy Campbell is the author of Dream Girl Awakened, Forgive Me, and Wouldn’t Change a Thing. She was born and raised in Sparta, Georgia, where she spent summers on the front porch listening to the animated tales of her older relatives. She lives with her family in Indianapolis, Indiana.